The world is getting smarter and smarter. The motto of the international fair “embedded world” in 2018, “it’s a smarter world,” will certainly hold true again in 2018. From the 27th of February to the 1st of March 2018, about 1 020 exhibitors and 30 000 professionals are expected at the Nuremberg Messe. 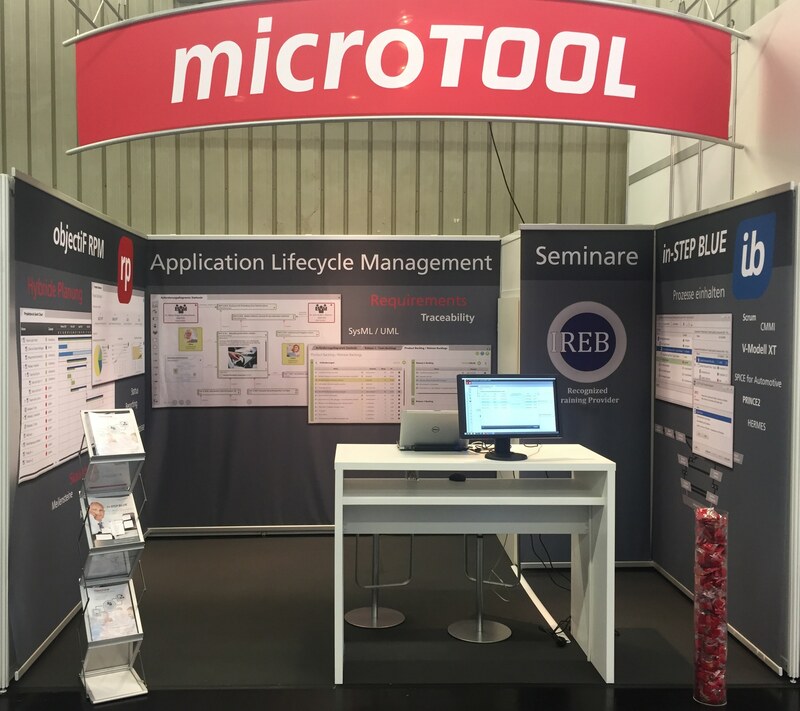 In hall 4 at stand 107, microTOOL will introduce our smart software for project management, requirements engineering and application life cycle management. On February 28th at 10.30am, Mohamed Jamal Eddine will present a lecture in the exhibitor’s forum entitled “Agile testing – the weakest no longer goes to the wall,” in which he will explain how to model and manage requirements, develop them iteratively and test them agilely. microTOOL will have an exhibition stand on all three fair days where we will show how to comply with processes with in-STEP BLUE, fulfil IT compliance and secure documents, how to drive professional requirements engineering and how to plan and execute agile, traditional and hybrid projects with objectiF RPM. The increasing tendency toward embedded technology is reflected in the growth of embedded world. The number of visitors has increased from 8 000 and of exhibitors from 150 over the past five years. Central themes in the industry are electronic systems security, distributed intelligence, the internet of things and solutions for future themes like e-mobility and energy efficiency. Embedded systems have many, highly complex requirements. microTOOL offers software for the requirements analysis, modelling, traceability and documentation of such requirements. More information about embedded world 2018 can be found at https://www.embedded-world.de/en.